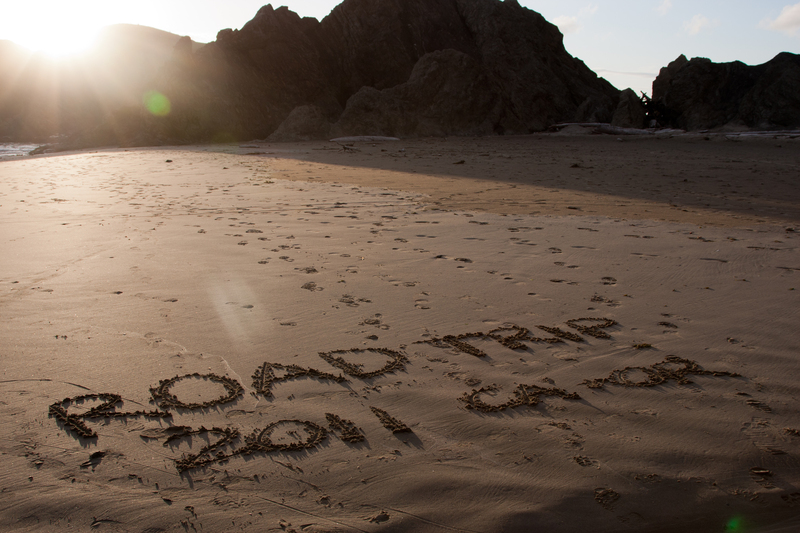 Made my third annual pilgrimage to Ano Nuevo State Park in early January. 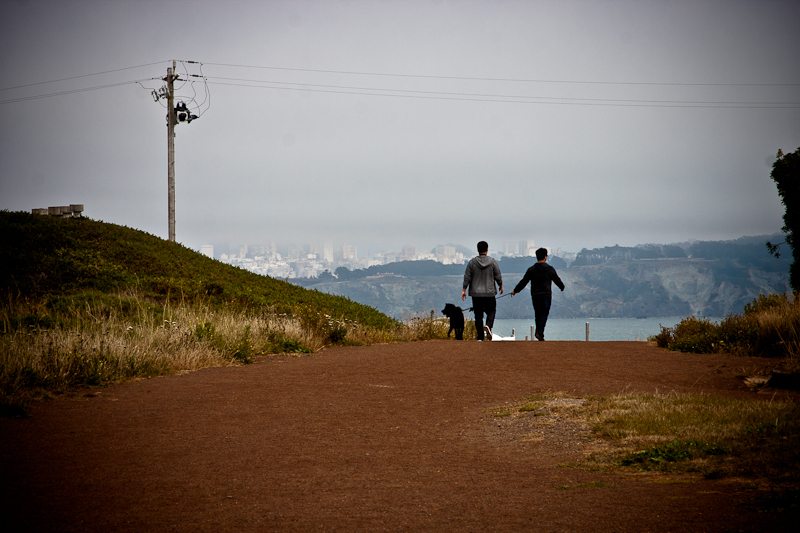 My friend Tony and I have been coming here every year since I moved to California. 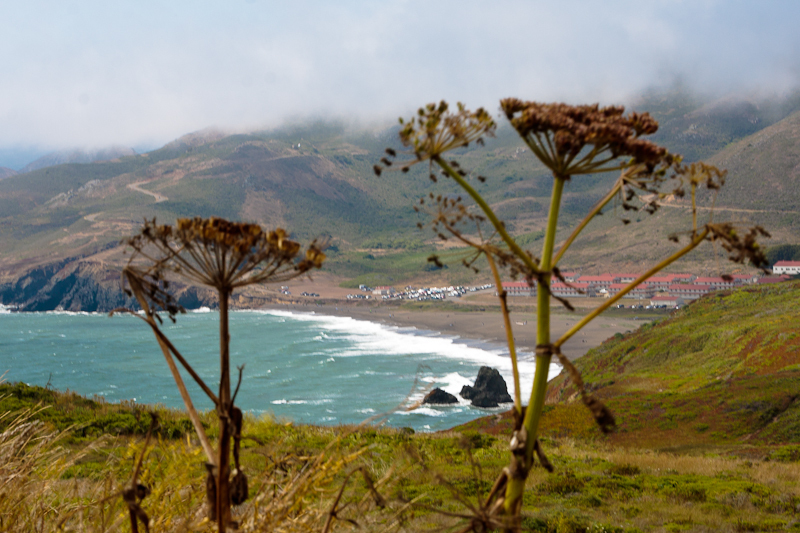 It’s a very apt and beautiful place to start the New Year. In March, the adults return to the sea. After having spent three months on land with no food, they have lost up to a third of their body weight. The pups remain behind and have a few more weeks to hone their swimming skills before they, too, will leave the land. Returning seals have to get past the bevy of Great White sharks that thrive in Northern California’s coastal waters. If they survive and make it into the deep blue, their yearly cycle will begin again. 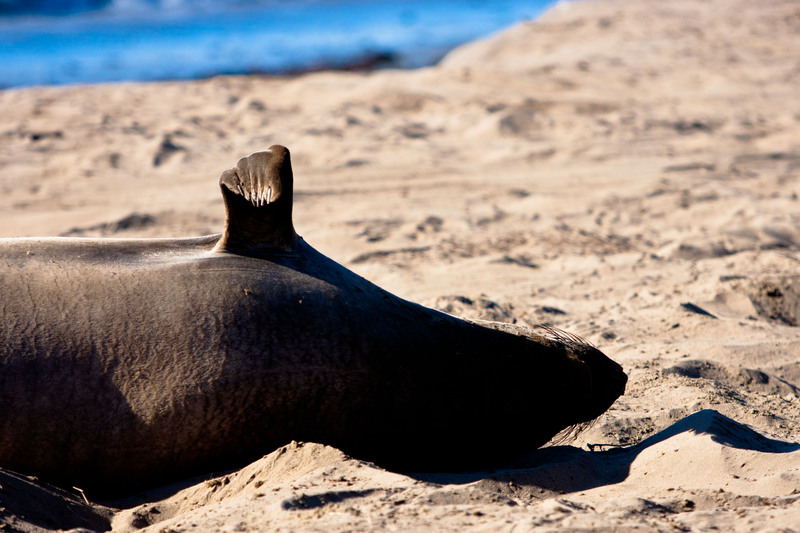 Elephant seals can dive up to 5,000 feet (1,524 m) and stay down there for as long as two hours. The females tend not to hunt as deep as the males, as they’re partial to squid. The boys are, naturally, bottom-feeders and live off the likes of skate and crab. 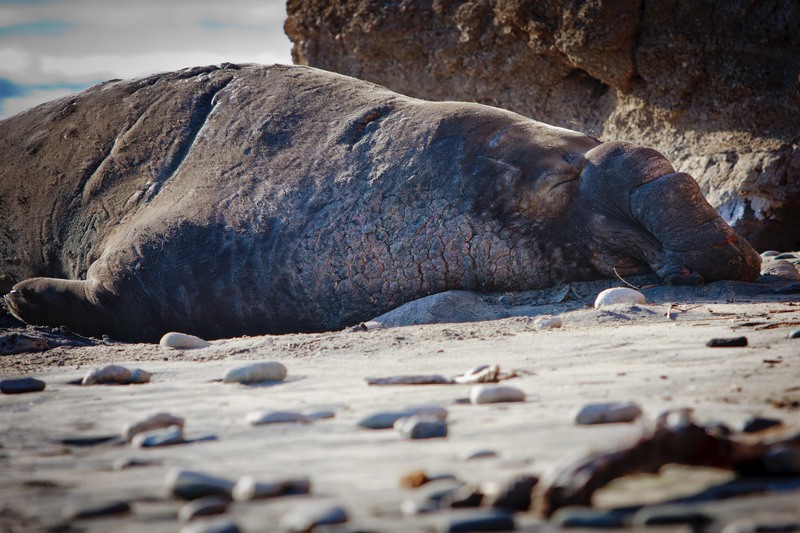 Friends of the Elephant Seal (FES), which supports the recently formed colony at Piedras Blancas, near San Simeon, Calif., has a nice FAQ page on the Northern Elephant Seal. I also re-read “Elephant Seals” by Carole and Phil Adams (1999) each year before my visit. 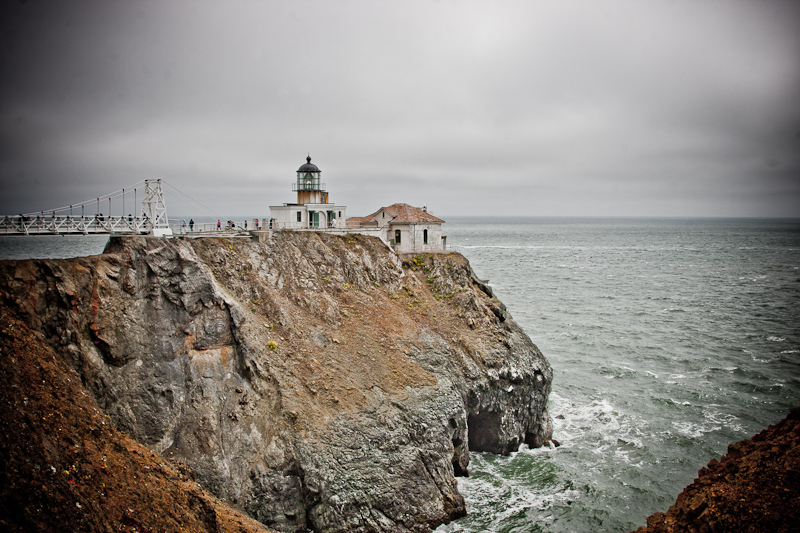 You can purchase the book via the FES online shop, as well as in person at the Ano Nuevo State Park store. 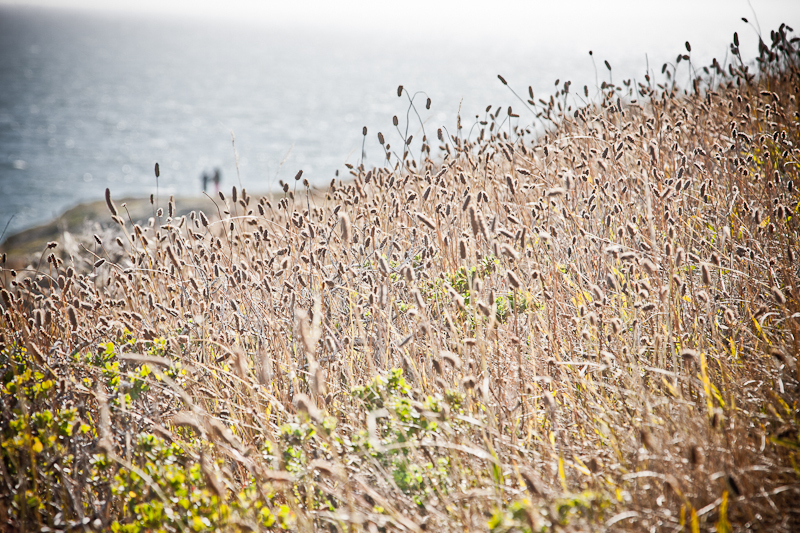 If you want to see the Ano Nuevo colony, you must sign up for a docent/ranger-lead tour. 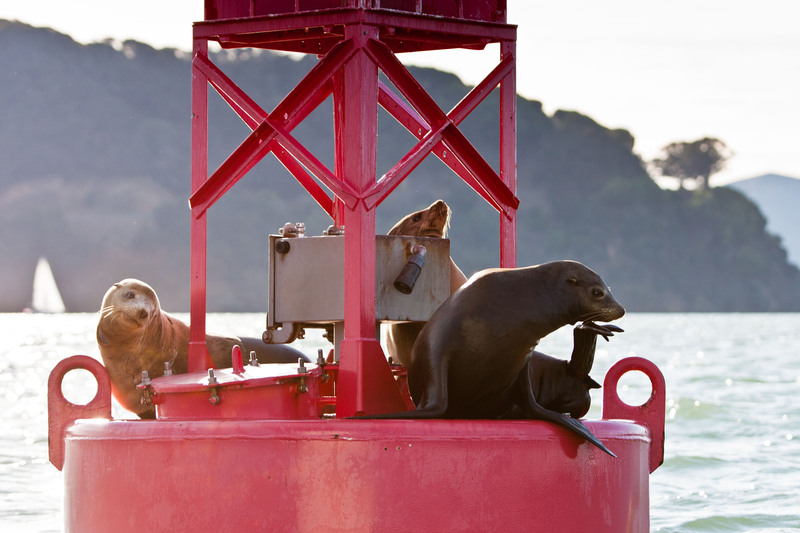 You’ll get up close to the seals and support a good cause. Reserve far in advance, particularly for weekend slots. 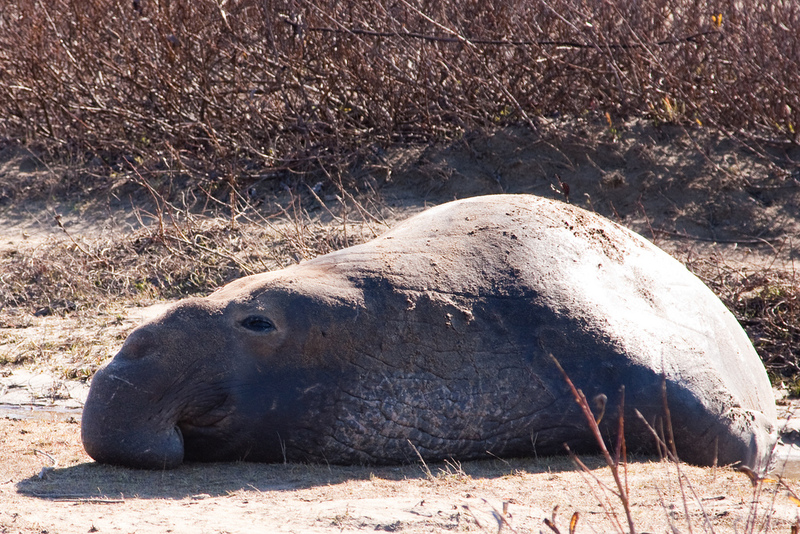 Elephant seals are sexually dimorphic. In other words, the males and females grow up to be quite different in shape and size. Males can weigh up to 5,500 pounds (2500 kg), while females max out around 1,800 pounds (545 kg). 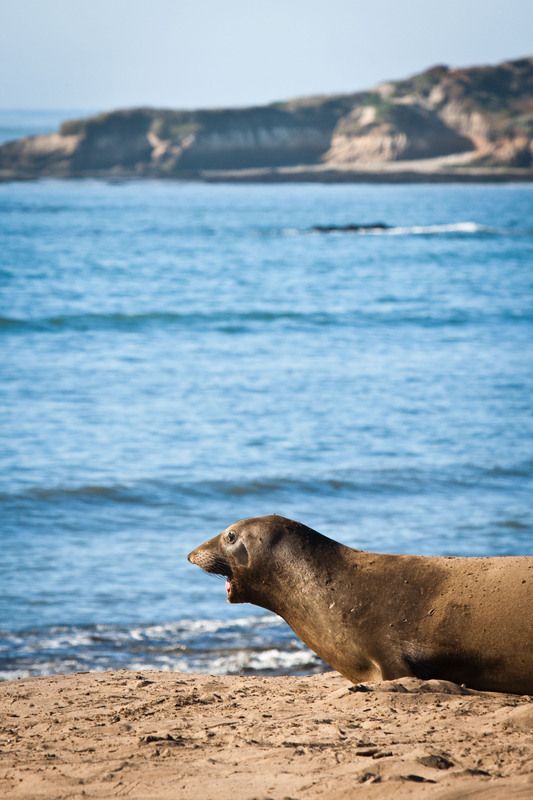 The signature proboscis, for which the species gets its name, is only characteristic on male elephant seals. Their "trunk" can grow up to two feet long! 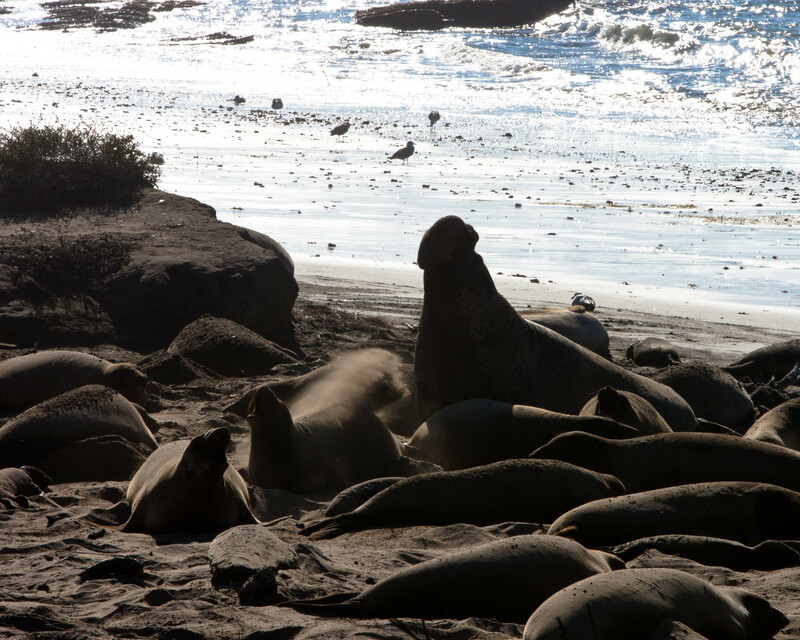 Alpha male elephant seals oversee harems of anywhere from 10 to 50 females. Beta males patrol the periphery, fighting off any would-be usurpers. Their payoff? A chance to mate should the Alpha find himself otherwise too preoccupied to care. Elephant seals have nails on their fore flippers. They are quite adept at scratching themselves, which, at least while on land, they seem to do often. Females and their offspring communicate through unique calls. If you see a female barking, she may be calling to her pup. 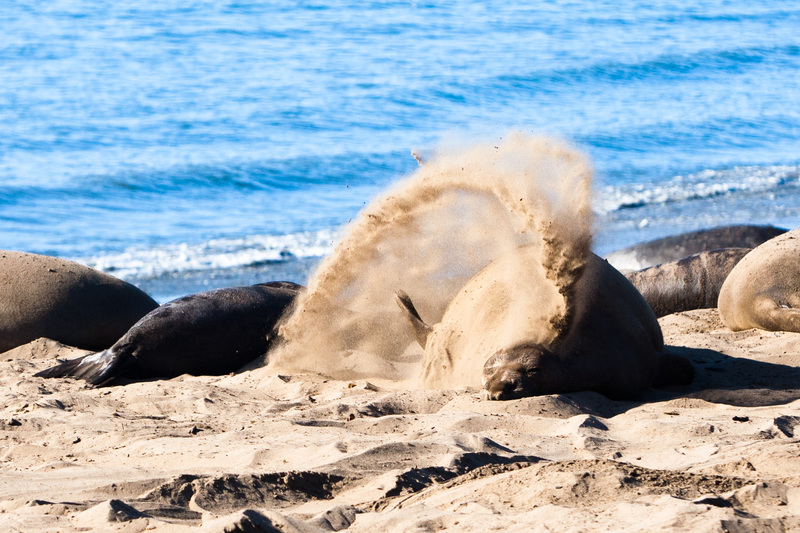 Best suited for life in the chilly waters of the open Pacific, blubbery elephant seals cool themselves on land by flicking sand on themselves. 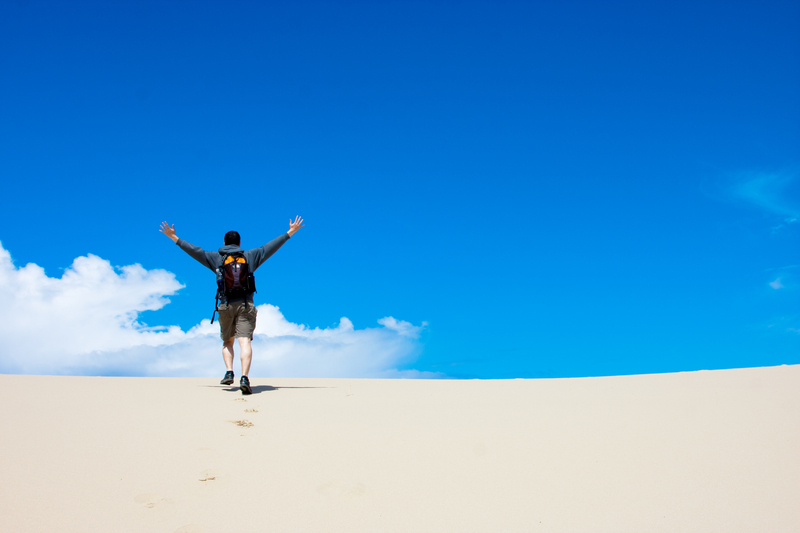 The grains may also act as a kind of sunscreen. 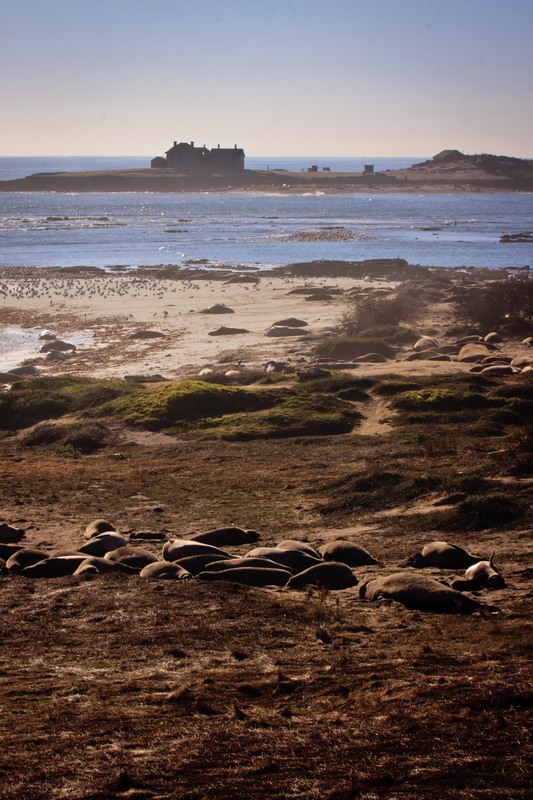 This entry was posted in California, Nature, Photography, The Sea and tagged Ano Nuevo, elephant seals, northern elephant seals. 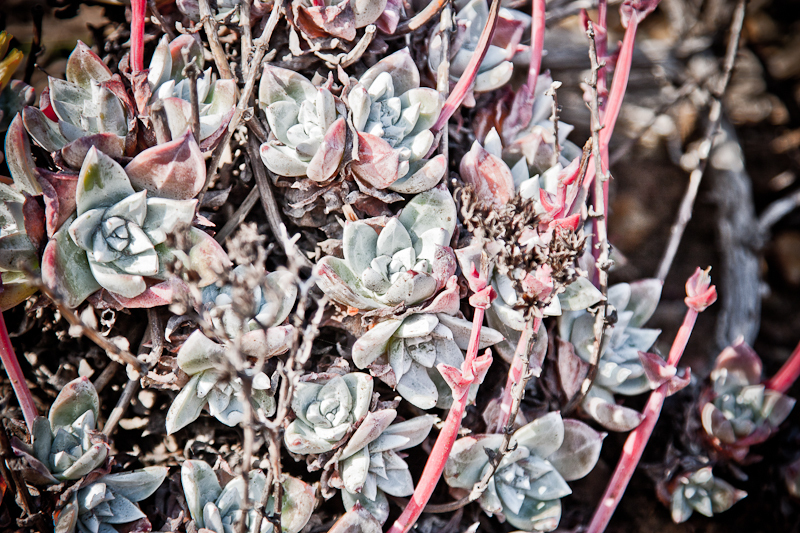 This was my first time out with my new telephoto lens (Canon EF 70-200 mm f/2.8L). I saved money by scrimping on the Image Stabilization feature. (It was still an expensive lens!) 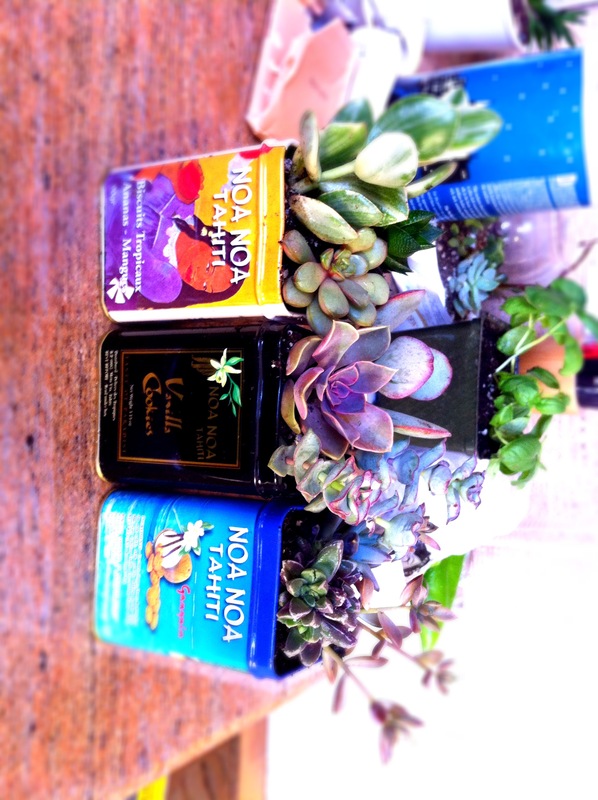 Thought I was being crafty, as I’d read enough reviews saying it wasn’t quite necessary. But then I bet those folks weren’t bobbing on a boat, trying to photograph fidgety sea lions, who are themselves on a bouncing buoy. As you can imagine, this makes for a lot of blur. Oh well, at least a few of my shots turned out OK! 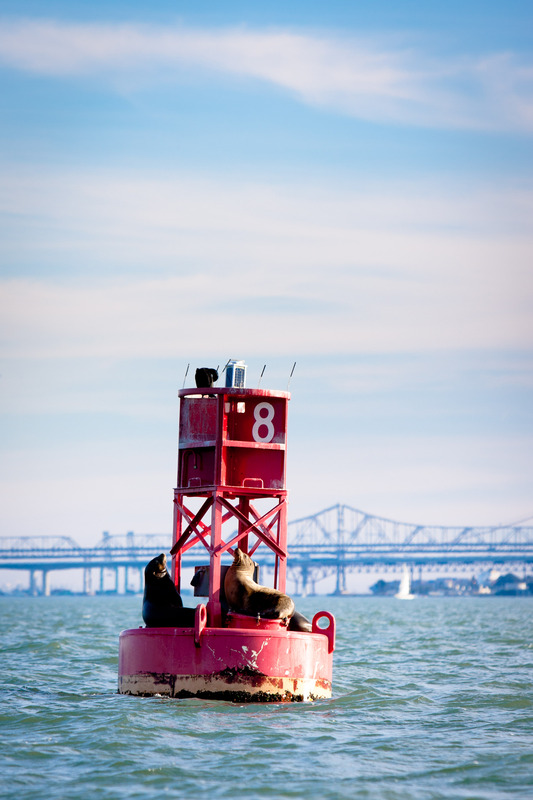 This entry was posted in Nature, Photography, San Francisco, The Sea and tagged San Francisco Bay, sea lions. 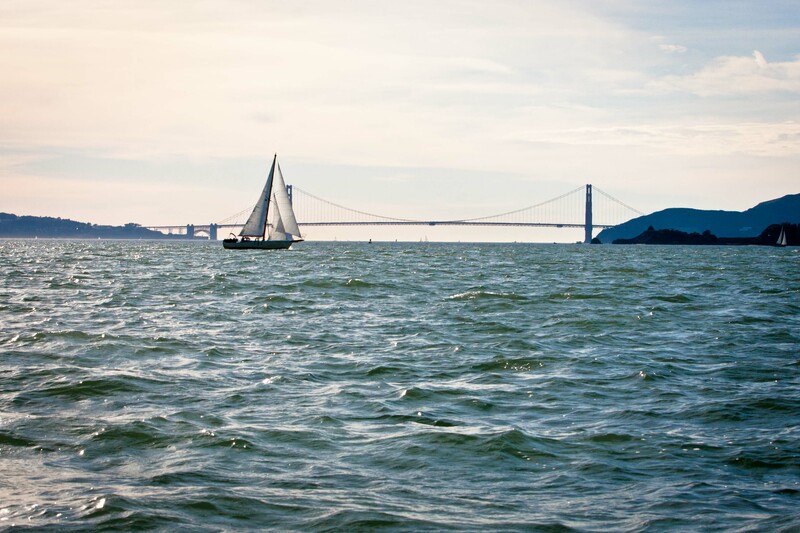 A sailboat races past the Golden Gate Bridge. I’ve been sailing on the San Francisco Bay quite a bit this year. It’s amazing how quiet it can be when you switch the motor off — just the sound of the wind whipping the sails above and the water slapping the boat beneath. It seems nearly impossible that you are floating just off the shore of a major metropolitan area. 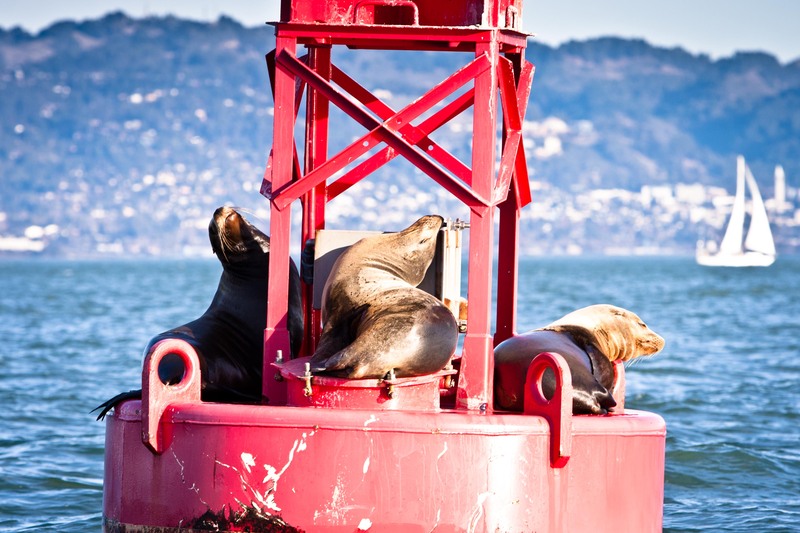 The views of the city and landmarks, such as the Golden Gate Bridge and Alcatraz Island, are phenomenal, and it’s hard to tire of whiskered sea lions barking from their favorite buoys. Still, sometimes the prettiest sights are the ones that greet you on your return. 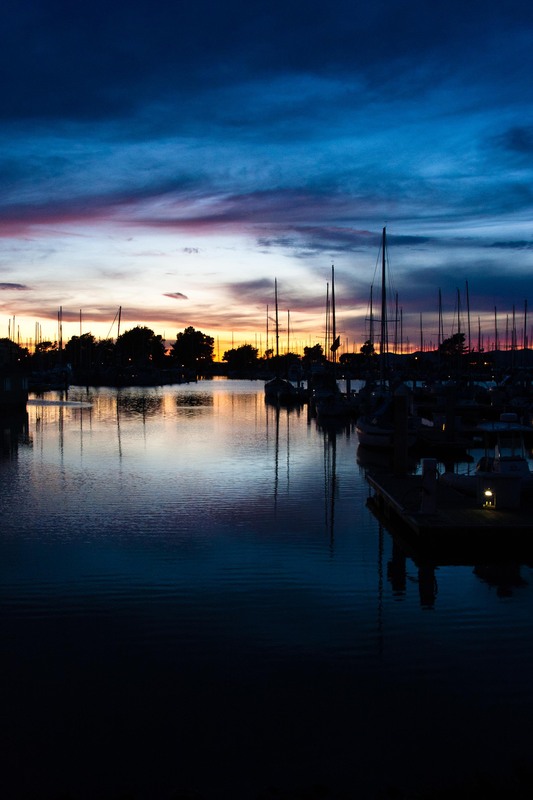 The Berkeley Marina tends to be a surprise stunner at sunset! The view toward to Bay from the shore of the Berkeley Marina in Berkeley, Calif. 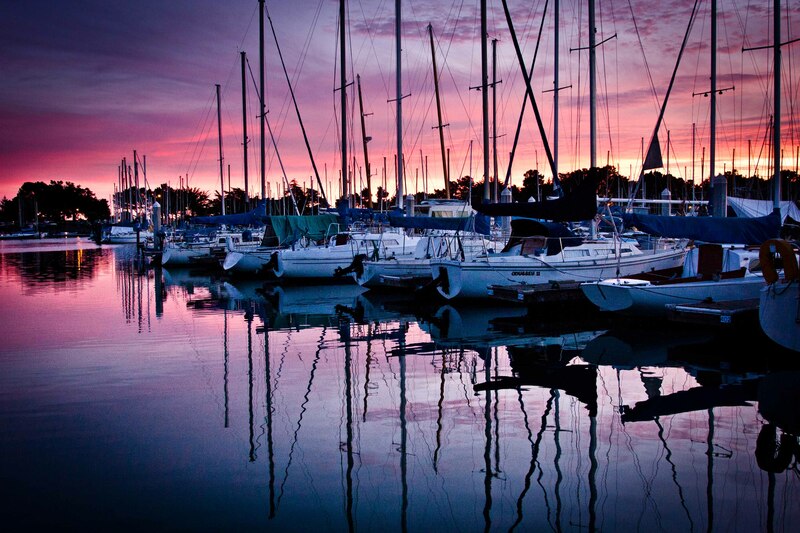 This entry was posted in California, Photography, San Francisco, The Sea and tagged Berkeley Marina, sailing, San Francisco Bay, sea lions, sunset. 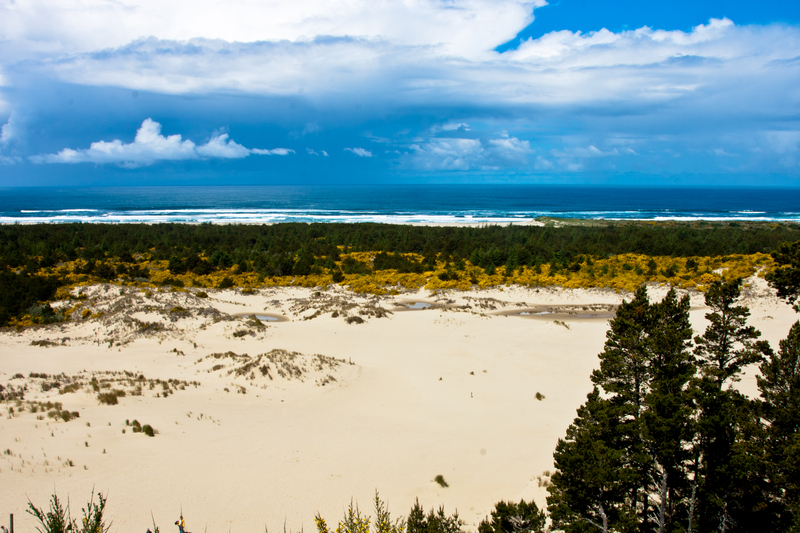 This entry was posted in Nature, Photography, Plants, The Sea, Travel and tagged Bandon, Oregon, Oregon Dunes. 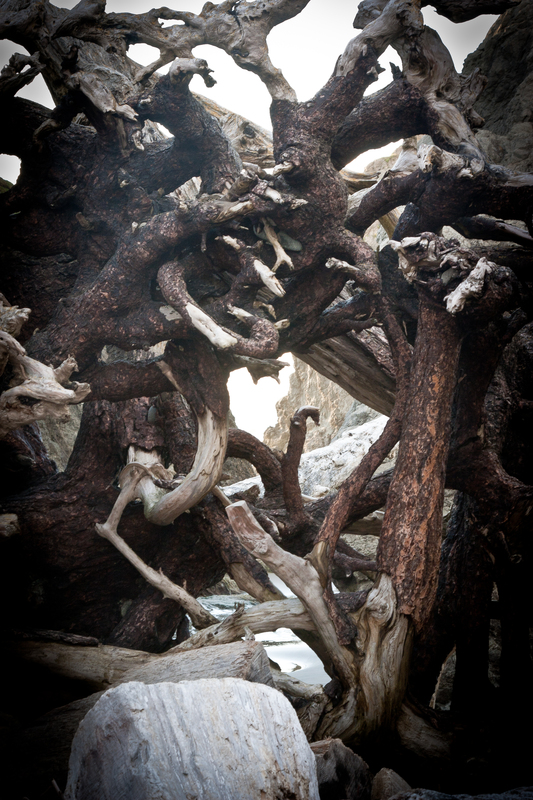 A tangle of driftwood among the rocks. 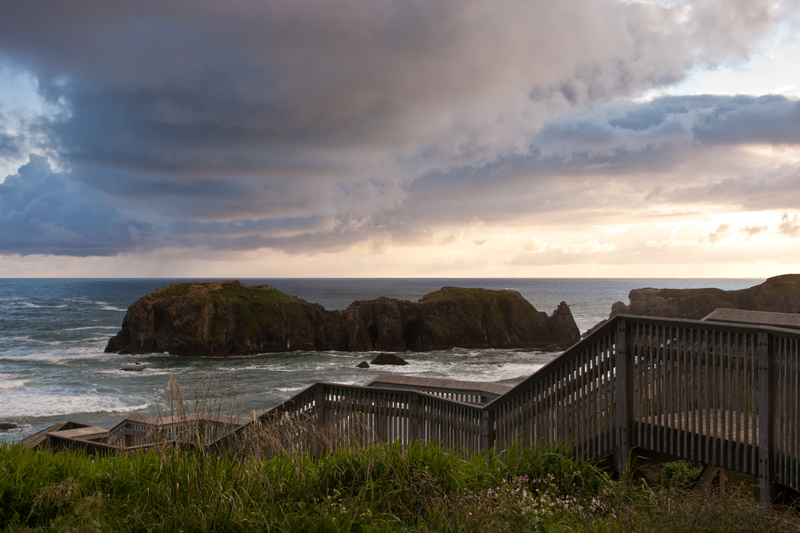 This stretch of beach in Bandon, Oregon, is one of the most amazing intersections of land and sea I've seen. To photograph it at sunset was a gift. Two friends recently asked me to read a poem during their wedding ceremony. So I’ve been on the prowl for poems about love, scouring my college copy of Norton’s Anthology of Modern Poetry and back issues of the New Yorker … Read this Tennessee Williams poem in the April-4 issue of the latter, and it has been hanging in my head ever since. I suppose this would be way too dark a choice for most folks on their wedding day, and so the search continues. But, despite its post-apocalyptic nature, I must say that I find “Your Blinded Hand” most beautiful. This entry was posted in Nature, Photography, The Sea and tagged Bandon Beach, Oregon, poetry, Tennessee Williams, Your Blinded Hand. While canoeing along the southern end of the Everglades this past March, I came across many little islands in the making. 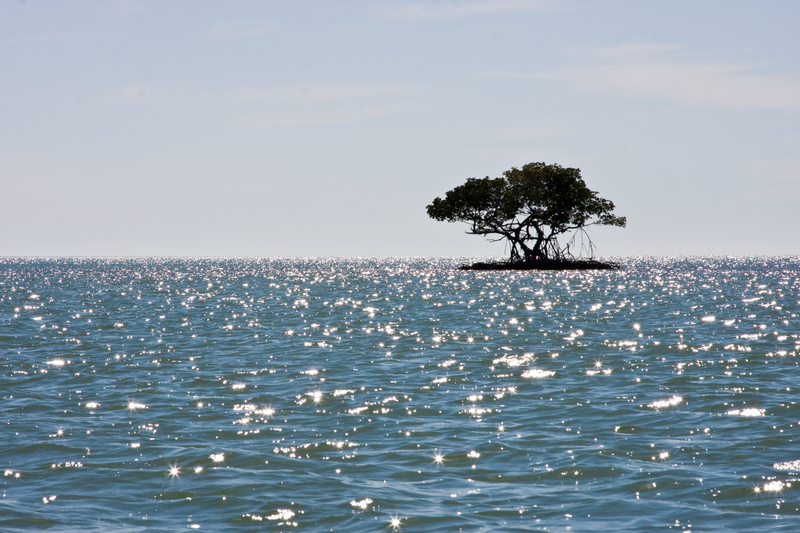 These islets, often in the form of one or two lonely red mangrove trees, struck me as a symbol of hope. Despite the vast sea stretching endlessly before them, floating seed pods willed themselves into a sandbank somewhere, harnessing the powers of great tidal shifts, forming themselves a new home. In the spirit of exploration and even of the persistence of life against all odds, these lone trees turned themselves into lone islands … And where lone islands form, other life is sure to follow. High in the treetops of narrow inlets and the tiny, well-rooted trees all around us, birds would perch and, sometimes even nest, forming silhouettes against the colors of a sky transitioning into darkness. How glorious that in five, ten or twenty years time, I may be parking my canoe on the banks of one of these “lone tree islets,” now independent islands in their own rights, and spending a night under the stars. This entry was posted in Nature, Photography, Plants, The Sea and tagged Canon 40D, Mangroves, The Everglades. In this day of crowded flights and eternal commutes, it is refreshing to get somewhere by the mere strength of your limbs. 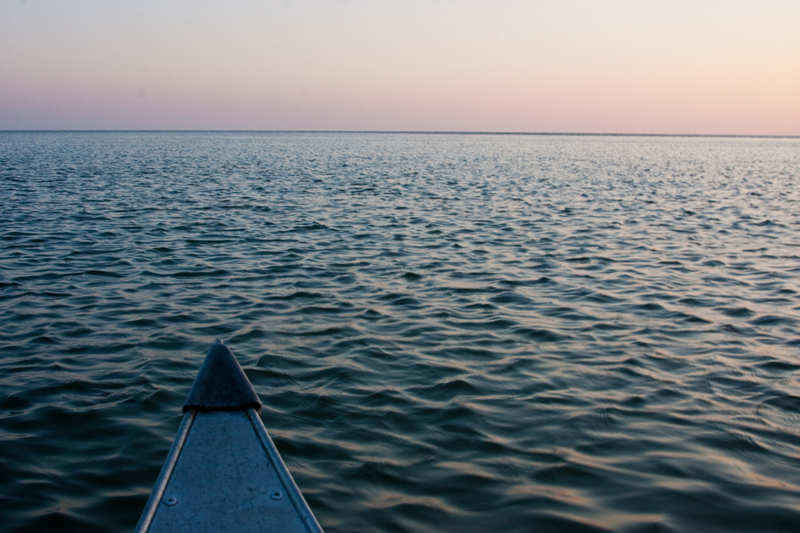 Canoeing eight miles out to the barrier islands off the Florida Everglades felt like exploring another world. I couldn’t help but be amazed and inspired by the fact that we managed to get four people, three days worth of food and water, and enough gear to provide clothing and shelter for us all out to these uninhabited islands without so much as a drop of gasoline. This entry was posted in Nature, Photography, The Sea, Travel and tagged canoe, Everglades, Florida, nature, ocean. 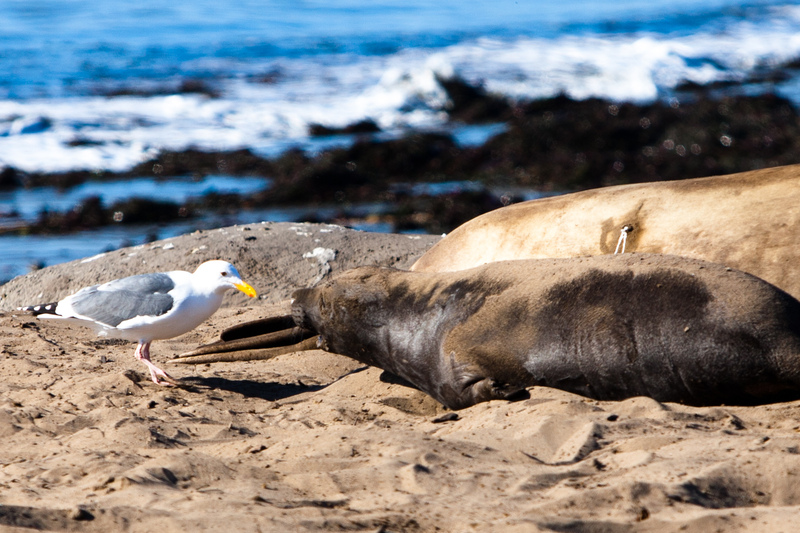 This entry was posted in California, Nature, Photography, The Sea and tagged Ano Nuevo State Park, elephant seals.